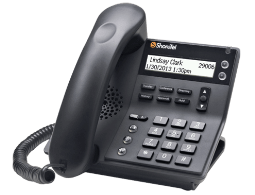 An eight-line phone with a crisp 480 x 272 pixels backlit color display offers an expanded directory with unlimited lookup with sort by first or last names. 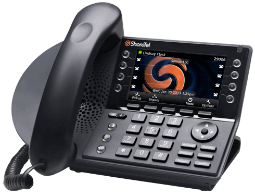 Ideal for break rooms, lobbies, and contact centers, the ShoreTel IP 420 phone features an easy-to-read, high-contrast display and 6 feature keys. 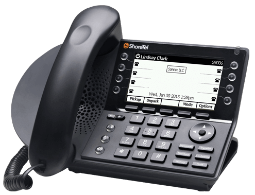 Ideal for general office, the ShoreTel IP 480g provides 8 line appearances with an easy-to-read, back-lit display.